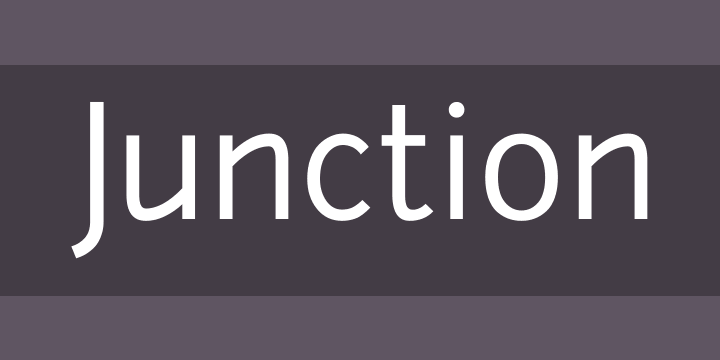 From the website: Inspired by my favorite humanist sans serif typefaces, such as Meta, Myriad, and Scala, Junction is where the best qualities of serif and sans serif typefaces come together. It has the hand drawn and human qualities of a serif, and still retains the clarity and efficiencies of a sans serif typeface. It combines the best of both worlds.